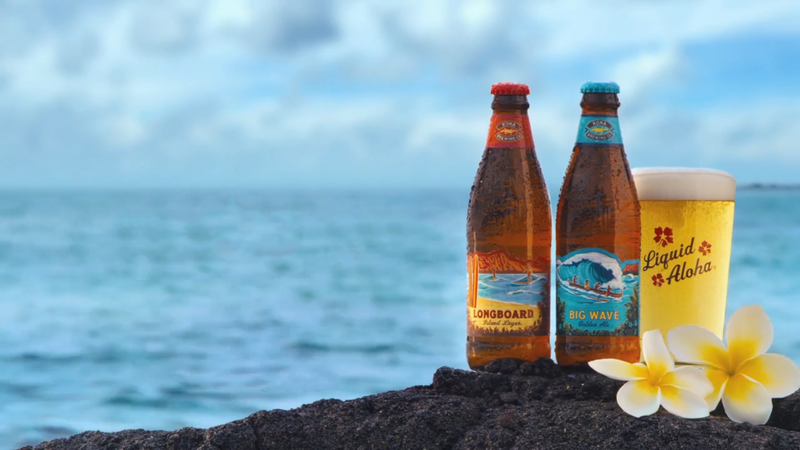 Our Story | Kona Brewing Co.
We have dramatically reduced our reliance on transportation fuel for raw materials, packaging and distribution by bottling, canning and producing beer for the mainland, at our affiliated mainland breweries. This practice allows fans in all our markets to receive the freshest, most sustainable beer possible. We also love giving back to our community by supporting local organizations that display an authentic, innovative approach to their mission and objectives that match up with our internal values. In-kind donation requests are reviewed by a team of brewery employees. Fill out and submit your request here. Sun, meet beer. At our Kailua-Kona brewery, we use a roof-mounted photovoltaic system (aka a “solar energy system”) to produce an average of 645 KWh of electricity per day, preventing what would eventually add up to a whopping 16,830 barrels of oil being shipped to the island for brewing purposes. They say water is life. We say, “Then we should probably conserve it.” At our Kailua-Kona brewery, we use repurposed whiskey barrels to collect condensation from our air conditioning. This condensation then gets used for irrigation and on-site gardens, allowing our pub to recycle 53,000 gallons of water a year. We also make our bottles lighter to eliminate carbon dioxide emissions. And, when possible, we use local Hawaiian ingredients in our beers, like Kona coffee and ginger. Reduce. Reuse. Recycle. For us, it’s not just a poster in a middle-school cafeteria. It’s a motto to live by. We recycle cardboard, plastic, paper, glass, metal, and electronics, and we always try to use recycled and reclaimed materials, whether we’re building support beams for our brewery or six-pack handles for our beer. The Kona Brewpub and Koko Marina Pub have plenty of gold stars when it comes to the Green Restaurant Association. The Kailua-Kona pub is a 4-star level, the highest that can be achieved, and the Koko pub is a 3-star level. We’re not usually ones to brag, but these are the only two restaurants in Hawaii to have achieved such impressive certifications. At Kona, we’re big believers in giving back to the community, which is why we strive to support like-minded, non-profit organizations by donating $250,000 to them annually. A couple of the non-profits we donated to last year were the Surfrider Foundation and Blue Planet Foundation. A company is only as green as its employees. That’s why we include sustainability training in orientation for all new hires, and even provide incentives for employees who ride their bikes, use public transit, or walk to work. At Kona, our ambassadors are pros at living Aloha. They represent everything we’re about, and you can find them promoting our beer at events all across the country. Wanna know more?